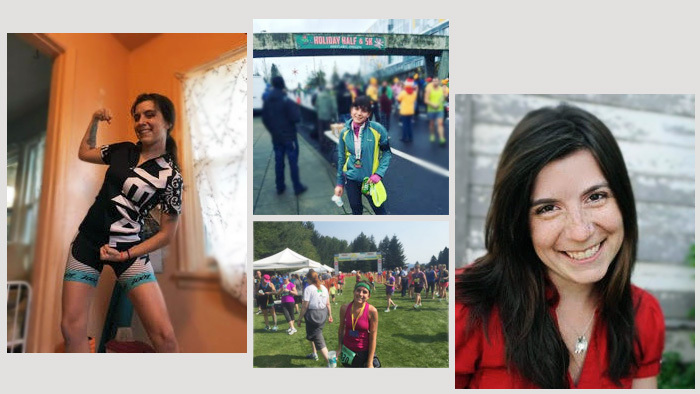 On October 4, 2015, Sara O’Byrne should have been in Portland, Oregon competing in her first marathon. Instead, she was lurching between her couch and her bathroom, having come down with a bout of food poisoning on the eve of her 26.2mile debut. Upset and frustrated by the turn of events, she knew she needed another challenge to allay her disappointment: “I was browsing on my laptop and came up with the idea of doing a triathlon,” said O’Byrne. A few Google searches later and she stumbled across a contest by TriEqual, asking women to submit their stories for the chance to win three months of free triathlon coaching. This sealed the deal and O’Byrne started typing. TriEqual was established in early 2015 by a group of women and men that were united in their passion for triathlon and who were dedicated to bring greater fairness and equality to the sport of triathlon. The group’s efforts are familiar to many as being behind the #50womentokona movement that is seeking an equal number of slots for both female and male professional athletes at the IRONMAN World Championships. However, the group is also active at the grassroots level, seeking to encourage more women to participate in the sport of triathlon. O’Byrne had stumbled across the TriEqual program, Equally Inspiring, which was offering to match women new to triathlon with experienced coaches who could help jump start them on the path to achieving their goals. O’Byrne’s essay was one of over 500 submissions for the 50 coaching slots available in the TriEqual program. The stories ran the gamut of human experiences explaining why they wanted a triathlon coach. One woman had recently undergone weight loss surgery and had her heart set on racing an Ironman distance triathlon. Another had not been athletic her entire childhood or adulthood but had discovered running in her early 40s and was now itching to try a triathlon in her 47th year. O’Byrne also shared a very personal story- one of being sexual assaulted by a classmate when she was in the final weeks of her doctoral degree. In the months following the attack, her life fell apart as she lost her job, she was forced out of her apartment and she spiraled into depression. “I felt as if I had lost my whole community… my whole life!” said O’Byrne. The one constant through this period, however, was running. “Eventually, the classmate confessed to the attack and plead guilty but not before plunging me into an emotional crisis. Running is what got me through it all,” she said. Today is International Women’s Day, and a fitting day to share this first story in a series about women and the paths they are taking to reach a triathlon start line. The backgrounds vary with some women lacking the athletic knowledge and skill to race while others, like Sara, are seeking healing from a life of disappointment or abuse. What is unifying is that they are finding empowerment and comradeship on their journey to learn a new sport. What’s more, the vulnerability that this endeavor requires is also helping them move forward in their lives. In 2016, TriEqual continues its push for more equality in triathlon, both at the professional level of the sport as well as through programs for beginners. To find out more about TriEqual, please visit the website, www.triequal.org. Jordan Blanco is an independent consultant and writer living in San Francisco. She is a founding member and Treasurer of TriEqual. She has been competing in triathlon for 15 years and will be racing Ironman Hawaii for the 5th time in October 2016. Her writing has appeared in Triathlete, Australian Triathlete and on Ironman.com.